Marshawn Lynch on Donald Trump: "That motherf----- says a lot of s---"
Oakland Raiders’ running back Marshawn Lynch has made plenty of headlines over the years, from driving the injury cart at Cal to “I’m just here so I don’t get fined” to a Brooklyn Nine-Nine cameo to lighting a blunt off the Al Davis Memorial Torch. 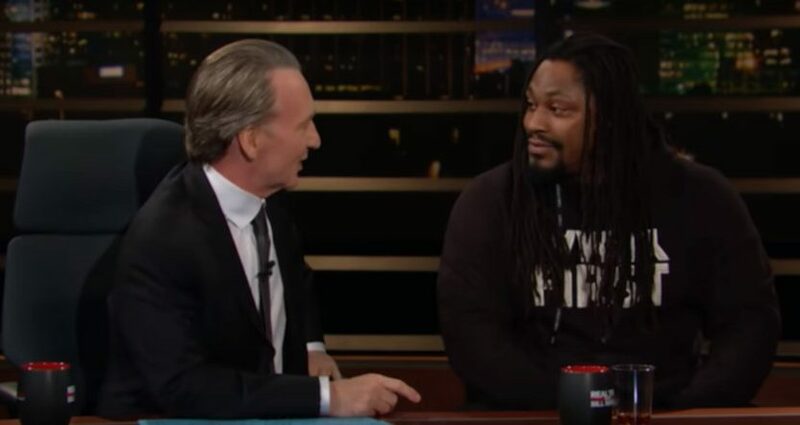 On Friday, he continued that in an appearance on HBO’s Real Time with Bill Maher, discussing everything from gentrification in Oakland to Colin Kaepernick to marijuana. But his most notable comments may have been what he said in response to a question about U.S. president Donald Trump. It’s not particularly surprising that Lynch wasn’t impressed with how Trump addressed him on Twitter, or that Lynch is going to speak his mind here. But this is still notable for the terms Lynch used, and what will be really notable is if Trump responds. After complaining about the NFL regularly in 2017, Trump has been much quieter on that front this season, but this is certainly the sort of thing that could spark a Twitter response from him. Now, Lynch isn’t even necessarily a NFL player for long. He’s on the Raiders’ roster, but his contract expires in March and he may choose to retire; he’ll be 33 in April, and while he sounds interested in playing still, he hasn’t yet committed to it. It seems like some of his decision may be about where the Raiders wind up playing, and it’s also possible that he could face some NFL discipline after admitting to Maher that he lit a blunt off the Davis flame, which might add to the incentive to retire). Still, even if Lynch does wind up exiting the NFL, his comments here might still lead to Trump pushing back against the league a bit. We’ll see what happens.